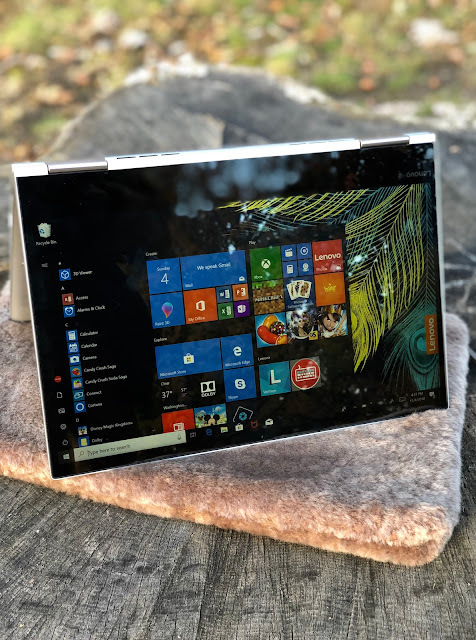 I've been a fan of the Lenovo Yoga laptop for years, having reviewed the Ideapad Yoga 11S, Yoga Tablet 8, Yoga 2 Pro, and Yoga Tablet 2 in the past. So I just had to test out the Lenovo Yoga 730 13" laptop, especially since I haven't had a Lenovo product in my possession for a few years now. 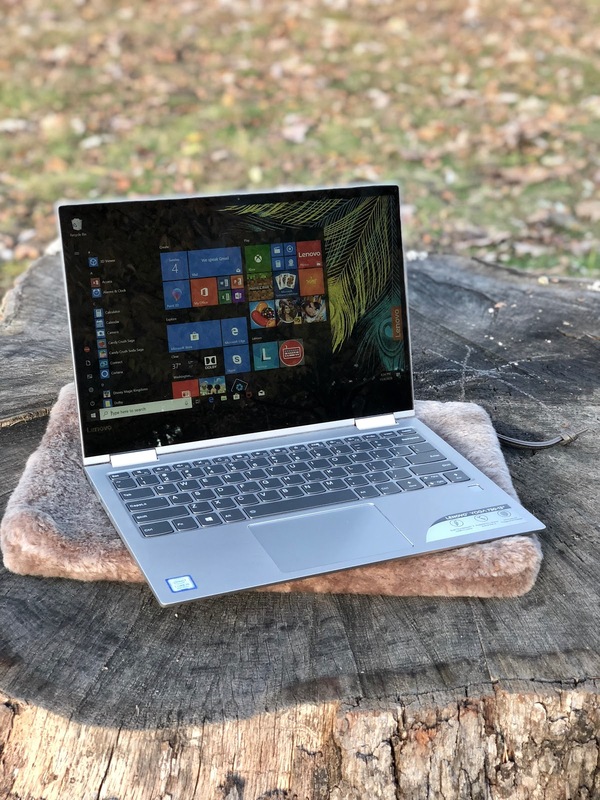 My favorite features of this laptop are definitely its versatility to change from laptop to tablet mode, touch screen capability, and a screen with picture perfect high-definition. It also has 360° sound, which you really experience when you put your headphones on. Since I'm always on my laptop if I'm home, that also means I don't have a laptop to watch Netflix on or catch up on favorite shows online. This is why I love having the Lenovo Yoga 730 around. It's great for binge watching shows (I binge watched the Syfy 12 Monkeys series all over again and caught up on Grey's Anatomy episodes). With the amazing audio and screen clarity, I find it hard to want to watch shows or movies on any other laptop. I love this laptop for the same reasons I always have, but these features seem more enhanced. 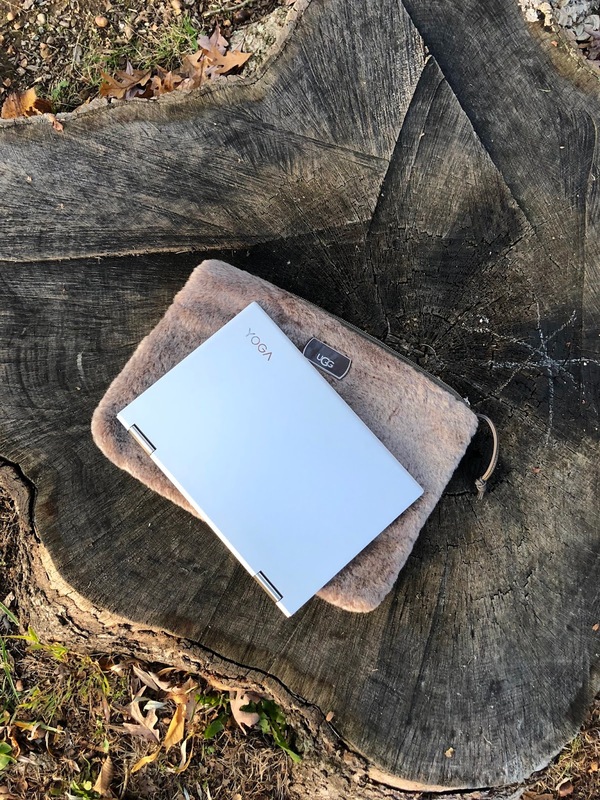 The Lenovo Yoga 730 also has a fast start up, long lasting battery and charges up pretty quickly. Another feature that is new to me since I've used a Lenovo Yoga laptop is Cortana as a voice-activated digital assistant to help you work faster by opening apps, setting reminders or answering your questions. Along with the versatility of the 360° design of the four different modes - laptop, stand, tablet, and tent, I love the sleek design of the laptop itself, and the fact that it's thin, lightweight (2.74 lbs) and easy to travel with. I took it to San Francisco a few weeks ago and also brought it out with me locally to the park and my favorite cafe. The Iron Grey color is just my style, as I've always preferred my tech products in Silver or Grey. 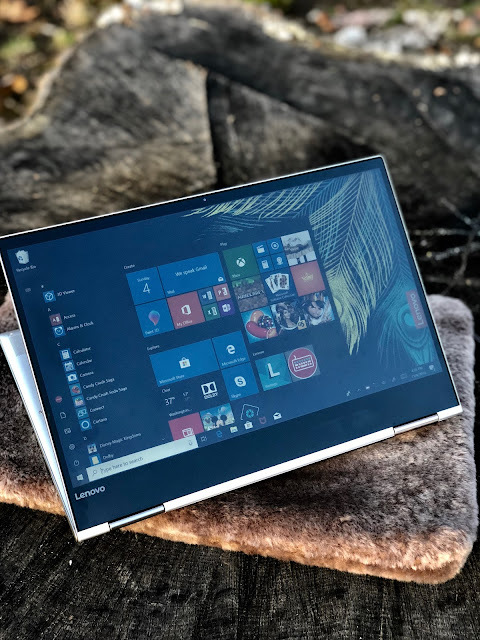 If I could put one product on my wishlist this holiday season, the Lenovo Yoga 730 13" laptop would be at the top of my list! I'm also excited about my new Vionic Shoes! The Whitney Ankle Boot is made of suede and neoprene for a comfortable fit and has a 3.1" heel height so it's not too high. It's perfect to wear out and about on the weekends or a full day at the office. I have several pairs of ankle booties in brown and black, and what I really needed was a pair in grey and I love this charcoal shade!